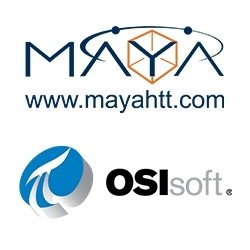 Montreal, Canada, April 10, 2019 --(PR.com)-- Maya Heat Transfer Technologies (Maya HTT) announced today that it has expanded its strategic product alliance with OSIsoft LLC, a leader in operational intelligence, as part of its plan to bring its Datacenter Clarity LC® platform to smart buildings with an initial focus in healthcare and aviation. Maya HTT’s Datacenter Clarity LC® is a datacenter infrastructure lifecycle management platform that offers a complete real-time view into datacenter operations by leveraging state-of-the-art management tools to optimize equipment placement and energy consumption. Datacenter Clarity LC can also serve as a forecasting model detailing changes in performance over time, giving administrators and operators a 4D digital model of their operations. OSIsoft’s PI System is embedded into Datacenter Clarity LC to capture real-time operational data fueling advanced analytics. The combination of Datacenter Clarity LC and the PI System have helped world leading data centers create a cockpit view of its national datacenter network, deliver real-time performance information to executives, and formulate a foundation for capacity expansion. Under the extended agreement, Maya HTT will now integrate OSIsoft’s PI System in a new smart building offering for healthcare and aviation. In healthcare, for instance, Maya is working with hospitals on developing an hypervisor platform for optimized room occupancy while increasing safety and patient thermal comfort. Bed space in a hospital in North America or Europe can cost $600,000 to over $1 million to construct and thousands per year to manage and operate. Hospitals, however, cannot allocate rooms randomly. Infectious patients have to be separated while patients with light sensitivity are better placed in certain clinics than others within the building. OSIsoft is dedicated to helping people transform their world through data. The company’s PI System is a data infrastructure for critical operations that transforms the data generated by sensors, devices and industrial processes into rich, real-time insights to help people save money, increase productivity or create connected products and services. Over 1,000 leading utilities, 80% of the world’s largest oil and gas companies and 65% of the Fortune 500 industrial companies rely the PI System in their operations. Worldwide, over 2 billion sensor-based data streams are managed by the PI System.